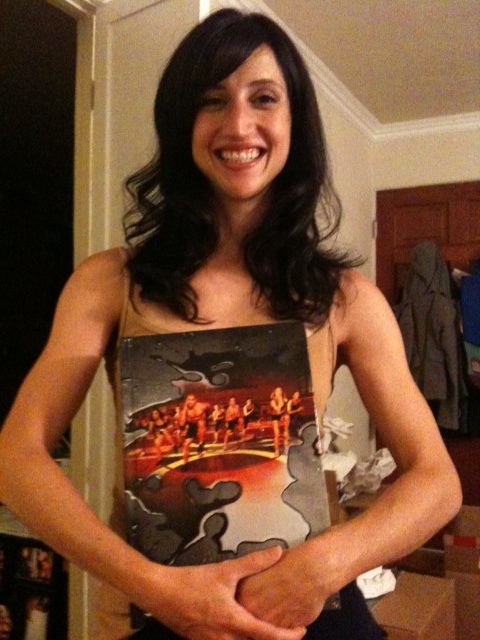 P90X2 Available for Pre-order Now! I can’t wait to get my hands on this! I’ve done P90X twice and have had incredible results both times, so I cannot wait to see what P90X2 – the Sequel – has in store for me! 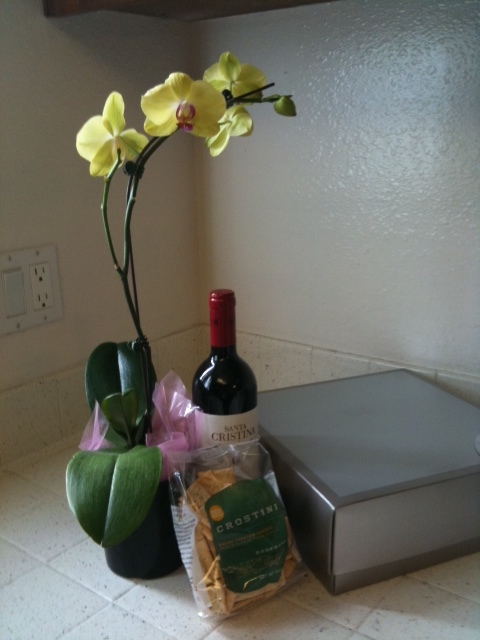 Check out the video clip for a sneak peak at what could be arriving at your door December 2011! Christmas present anyone?? SWIM, BIKE, RUN! One day I’d like to complete an Ironman (2.4 mile swim, 112 mile bike, 26.2 mile run). There is nothing wrong with setting ambitious goals! 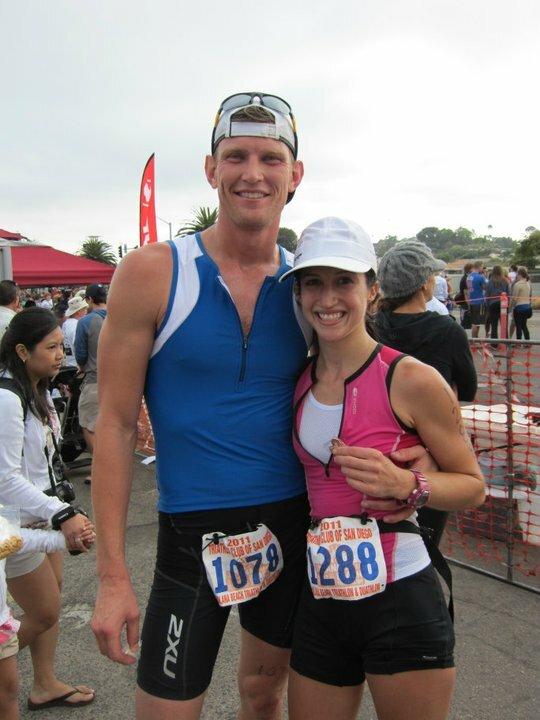 I believe this is attainable if I train hard, but first things first…I need to complete a triathlon! 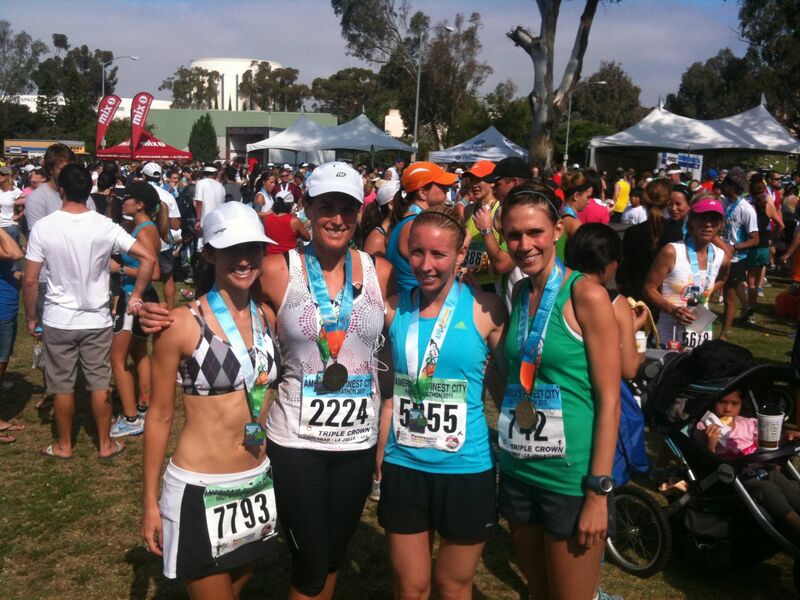 After I completed my first marathon on June 5, I signed up with the Tri Club of San Diego (TCSD) to start training. I highly recommend this organization if you are looking to get into triathlons or if you’re already a triathlete. 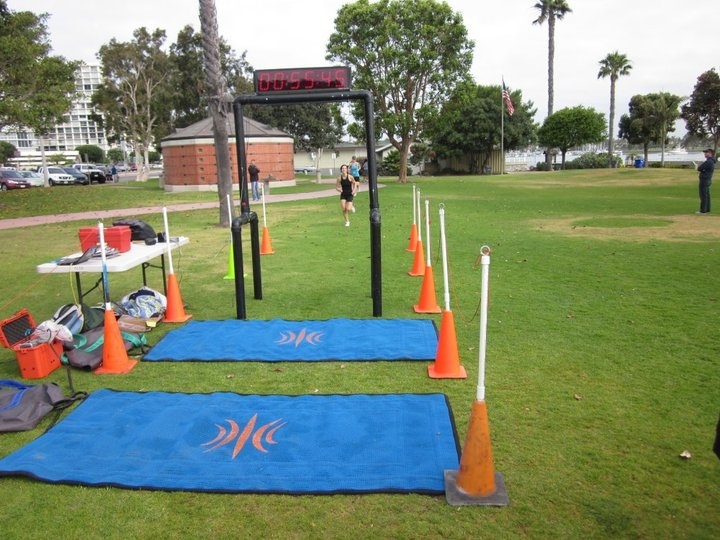 One of the club’s many perks is the free races they put on each month. 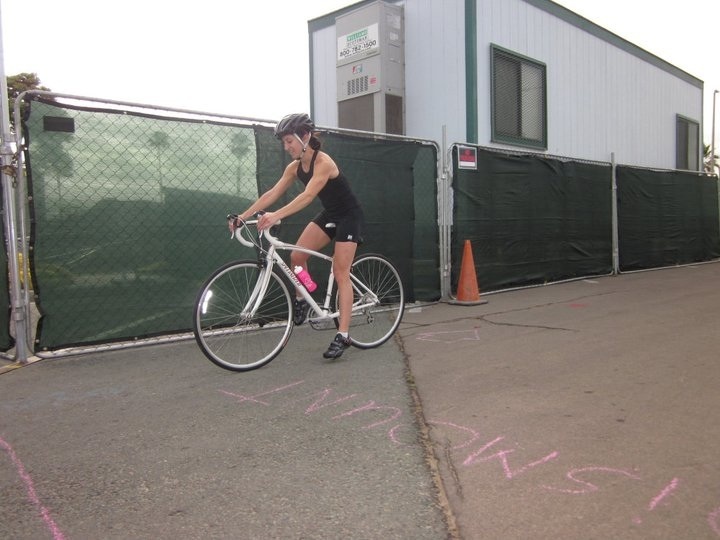 In June a short two weeks after my marathon, I completed a Beginner’s Practice Triathlon hosted by TCSD. How did I get there? Well I essentially dove right in because aside from running, I had put in no triathlon training! That’s the beauty of a beginner’s triathlon. 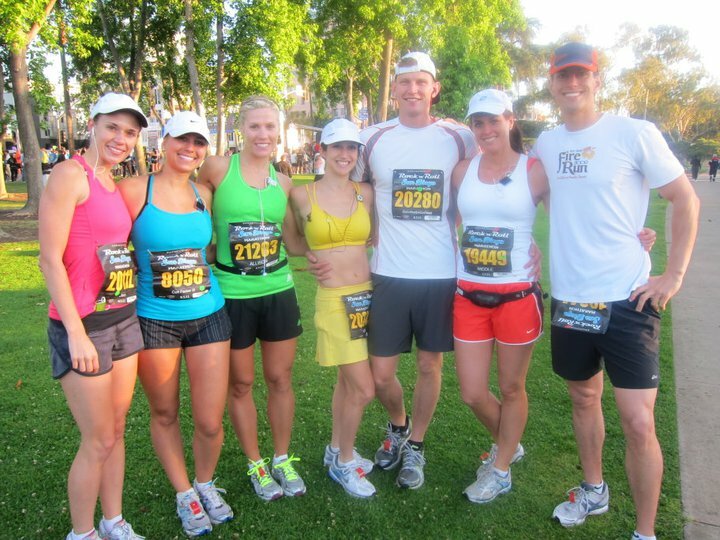 It’s manageable, and all the experienced triathletes are there to help you. I have a fear of open water swimming. I am not a strong, comfortable swimmer, and I am rarely in the water. (Typically I’m laying out in the sand!) 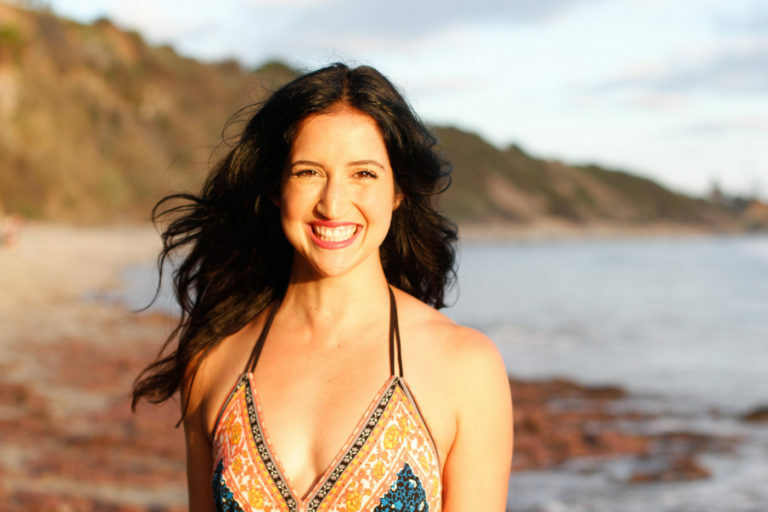 I see the swim as the biggest challenge for me, so I am going to put in the most time focusing on this area. 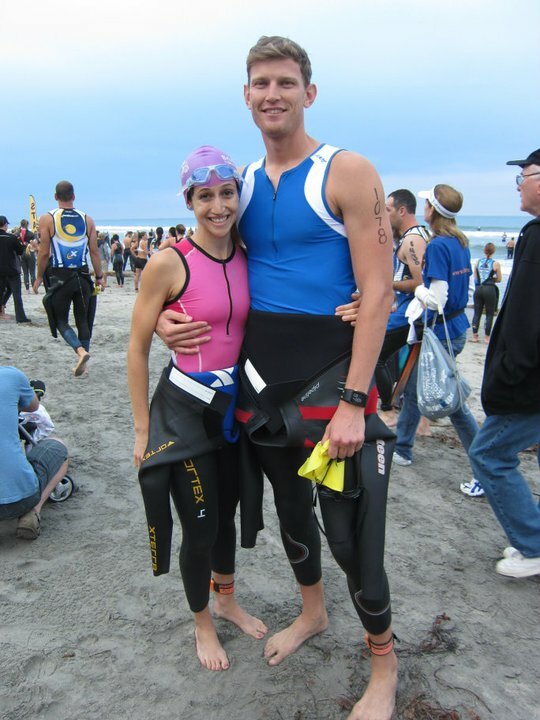 On the day of the beginner race, I put on my wetsuit and found a swim buddy. A swim buddy is someone who will stay with you throughout the course of the swim. She can help you stay straight and on course, provide words of encouragement, and just make you feel better knowing that someone is there watching you in case you freak out! 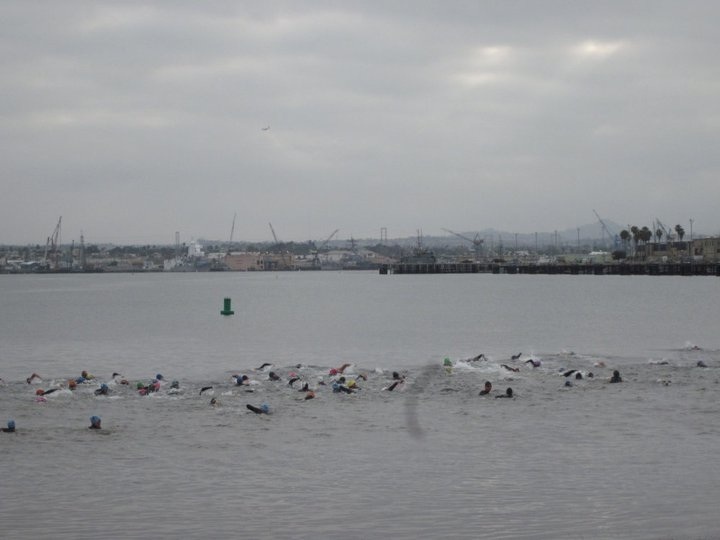 My first open water swim went much better than I thought it would. I didn’t drown! Accomplishment! I couldn’t do freestyle the entire time because my breathing was too laborious, so about halfway through, I started switching up my stroke and did breast stroke, back stroke, and freestyle. Better than not completing it, right? I wasn’t sure how hard to pedal because this was the first time I had ridden a bike that far. My bike experience is limited to about 2-3 times on a beach cruiser per year. Now that I’ve been practicing more (on my own new bike!! ), I am starting to understand how hard to push myself. 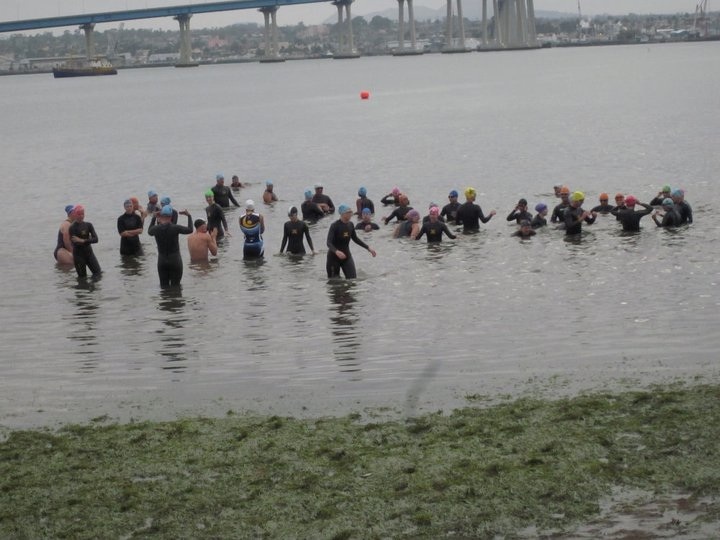 This part of the beginner’s triathlon was pretty straight forward. I almost even got bored since I didn’t have music or anyone to talk to. That was a new concept for me. I went out hard and fast on the run. This is my only area of expertise in the triathlon after all! My legs felt a little weird after having spent 7 miles on the bike, but they weren’t as bad as I thought they’d be. I found out when I finished that I was doing about 7 minute miles which is very fast for me! It felt great FINALLY passing large groups of people the beat me in the swim or bike. At least I know I can finish strong! Running with my hair down - No time for a pony! 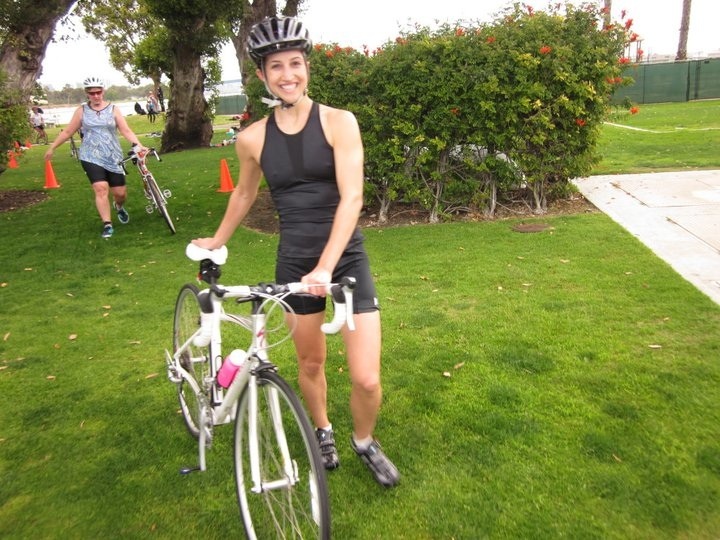 If you are a beginner wannabe triathlete like me, I highly recommend doing a practice/beginner-friendly triathlon before your first race, if possible. It made me more confident and really excited. I honestly had so much fun! The support system at the race was also amazing. 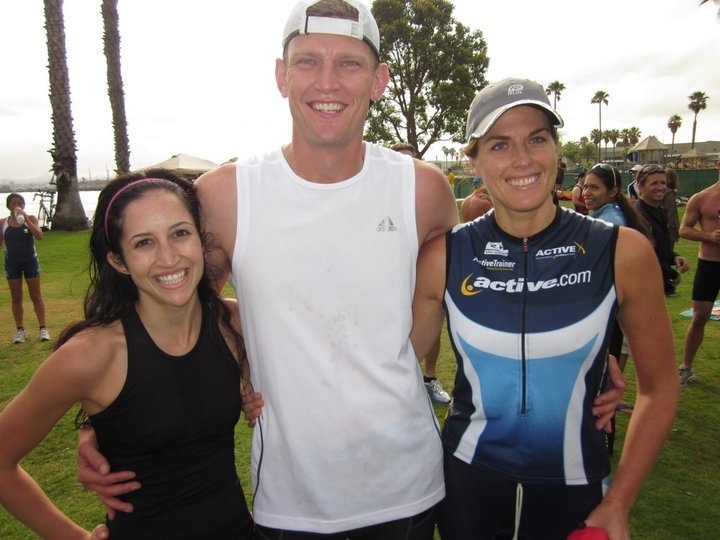 Triathletes seem to be very supportive of each other. 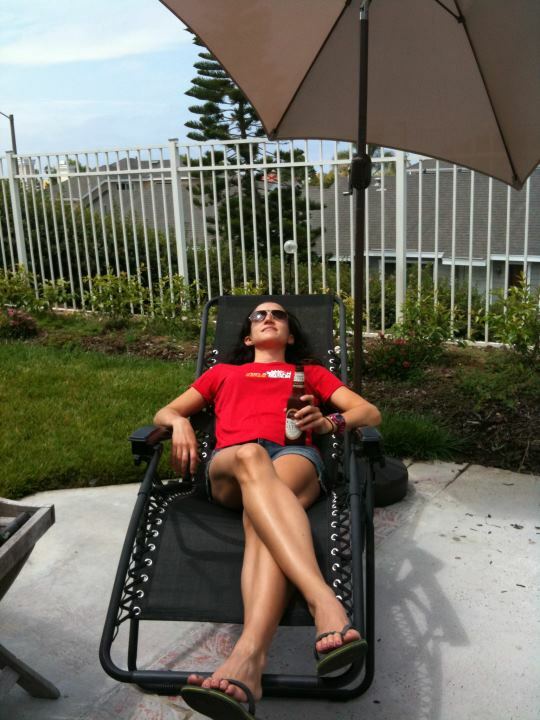 I cannot wait for the Solana Beach Sprint Triathlon! My first official race is only 2 weeks away (7/24)! 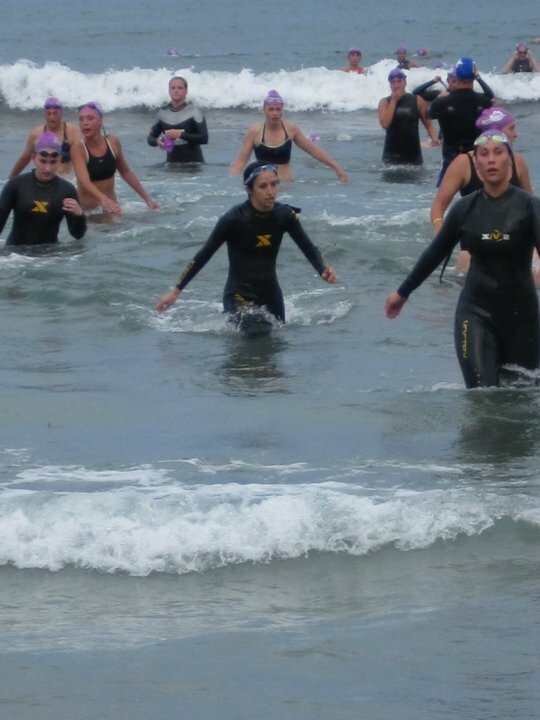 Solana Beach is a 1/4 mile ocean swim (yikes! 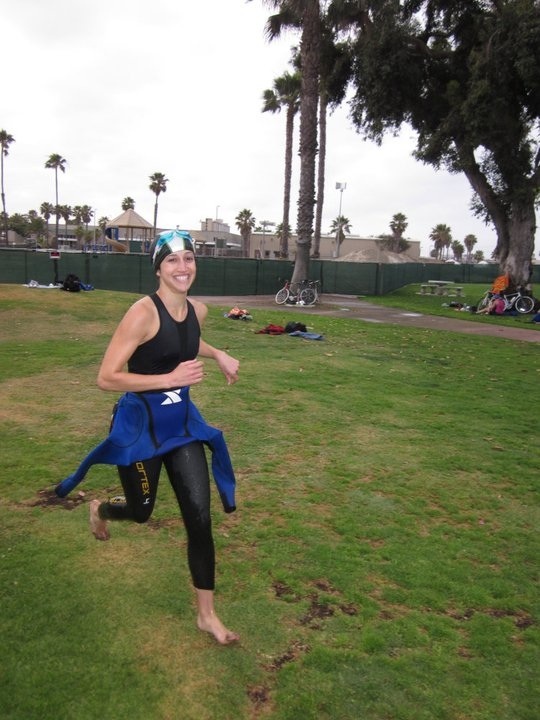 ), 9 mile bike, and 3 mile run – aka a “sprint” triathlon. You’ll be hearing all about it. Until then, it’s back to training! I need to get ready for my sprint so I can eventually be an Ironman.